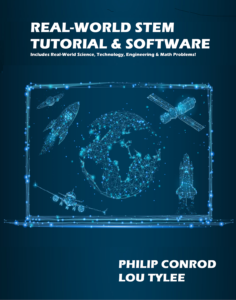 KIDWARE SOFTWARE has been publishing high-quality award-winning computer programming tutorials to schools, homeschools, and computer enthusiasts for over 30 years. 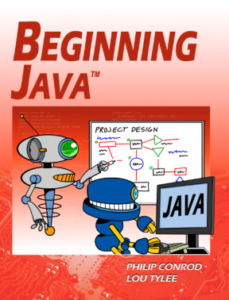 We currently publish a series of Microsoft® Small Basic, Visual Basic®, Visual C#®, and Oracle®​ JavaTM self-study computer programming tutorials for Middle School & High School Computer Science Teachers, Homeschool Parents and Self-Study Adult Computer Enthusiasts. We help you to help your students to become successful programmers! Our Public School Computer Science Teacher Kits are a fully customizable computer programming curriculum for Public Middle School and High School Computer Science Teachers. These packs allow a teacher to customize and distribute our computer programming curriculum and the associated source code to all students in your computer science class. 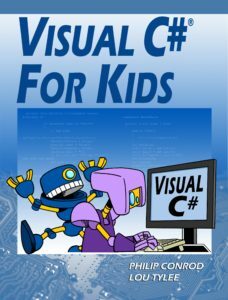 Our Beginning Computer Science for Kids series is a at home self-study computer programming curriculum designed for the computer enthusiast . We offer four different self-study computer programming language tracks for Homeschool students. It can also be used by self-study beginning adult computer enthusiast who would like to learn computer programming at home. Teachers and parents are always looking for real-world STEM examples of Science, Technology, Engineering and Mathematics. We’ve published a tutorial that demonstrate how science, technology, Engineering and math is really used. The tutorials are aimed primarily at older teens (high school, and even college), ranging from simple logic problems to using calculus to model complicated systems. A wide range of children’s games and educational software titles (pre-school to Grade 8). These are non-violent computer based educational games and exercises in the areas of math, language, logic, science, spelling, and social studies. They include Toddler Fun, Early Learning Games, Primary Learning Games, Logic Games, Science Fair, Sudoku Fun, Spelling Games, Typing Skills Tutor, and Math Games.